I’m Kelvin ‘Acesup’ Beattie – an experienced coach and former Australian #1 ranked online player (Pocket 5’s Rankings). I am born in Australia but currently reside in Japan. My winnings exceed $4,000,000 with over half a million in profit online, as well as 10 triple crowns. My journey started back in 1998 in Crown Melbourne, where I managed to beat the low limits and get to the biggest NL games. I am a consistent winner and I play poker for a living. I take my coaching very seriously and have helped dozens of MTT players achieve better results. With more than 14 years of professional poker experience, I can help you improve your game significantly and prepare you to compete with the pros. I examine tournaments or hands you’d like reviewed and find leaks in your game. Then offer advice on steps to improve. Along with my experience I use tools such as PIOSolver, which allows me to offer both GTO and exploitative analysis. I am be able to offer a discount for bulk lesson purchases. I’ve also worked with groups before. Get in touch for additional info. I had personal coaching with Kel in the last half of 2013. I had been playing poker for 3 years however Kel helped me elevate my game to another level. Whilst under his coaching I won my entry via satellite (initial investment $65) to my first ever Aussie Millions ($10600). I made it all the way to day 3 and finished 40th playing against international players I had previously watched on tv! I could not have achieved this without Kel's insight and analysis of my game. I just want to say thank you so much for giving me the opportunity to become the poker player I am today. If it wasn’t for you I would still be struggling to stay above the red line. Anyone that has found you and had the chance to get coached and hasn't taken the opportunity has truly missed out! You are by far the best coach I have ever had, and I've had several. My results are testament to this. 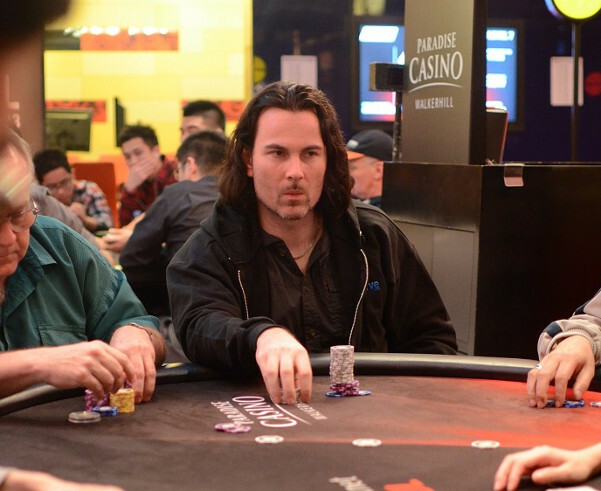 My advice to poker players looking to improve is work hard, and get coached by Kelvin Beattie (Acesup) and you're giving yourself a great chance to achieve success.